When I’m on a renovation job, sometimes I don’t know what I’m going to be doing when I walk in the door. 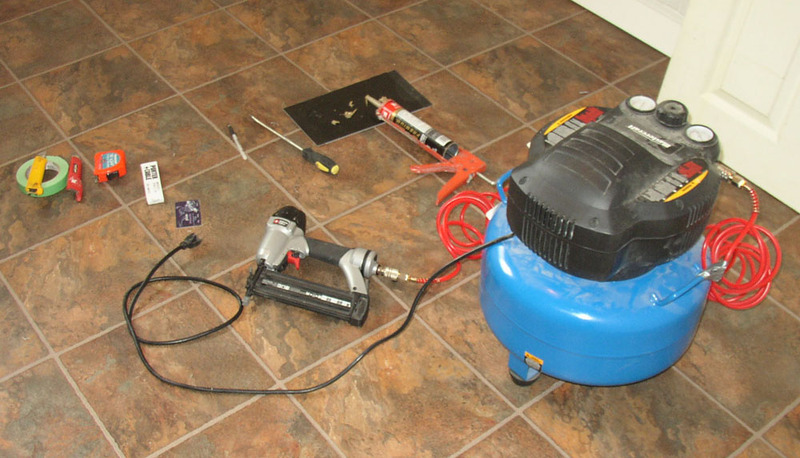 On any given day, I might be using a nail gun and a compressor to pin down a board. I might be ripping up floors with a crowbar. I might be 14 feet up a ladder painting walls. But sometimes curtains need to be hemmed, and I happened to be the person available able to sew a straight line (most of the time). So that’s what I did today. Which I was using yesterday to attach baseboards to walls. I wish this puppy came with wheels. I was thinking today that a tool is a tool is a tool. And no, I don’t mean “tool” in the sense that your ex is a tool. 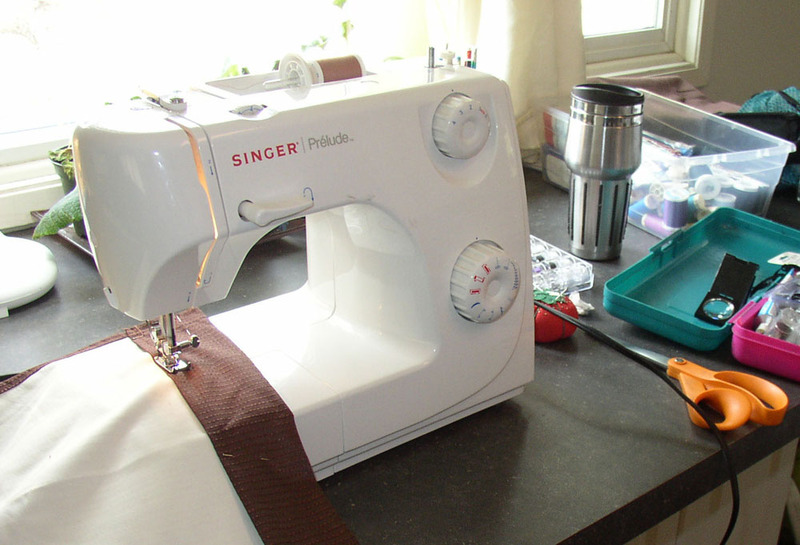 I mean a sewing machine is nothing more than a tool we use to get a job done, just like an air compressor or a saw. But I still don’t see too many women working on reno or construction job sites. Is it because the powers that do the hiring think women aren’t strong enough to wield power tools? 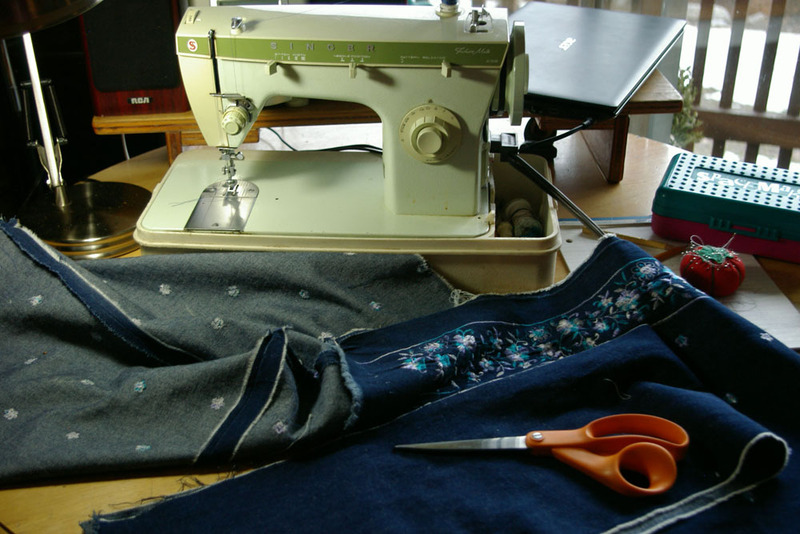 Can’t believe you still have that old sewing machine – and that it still works! You’re sewing skills are coming in handy aren’t they? I don’t know where in Canada Mike Holmes is, but he hires women for his construction..